Frozen Hide-And-Hug Olaf: A Fun Family Experience! - Hardcover - Just $18.50 Down From $27! You are here: Home / Great Deals / Amazon Deals / Frozen Hide-And-Hug Olaf: A Fun Family Experience! – Hardcover – Just $18.50 Down From $27! Frozen Hide-And-Hug Olaf: A Fun Family Experience! – Hardcover – Just $18.50 Down From $27! Here’s a great and fun Amazon deal! 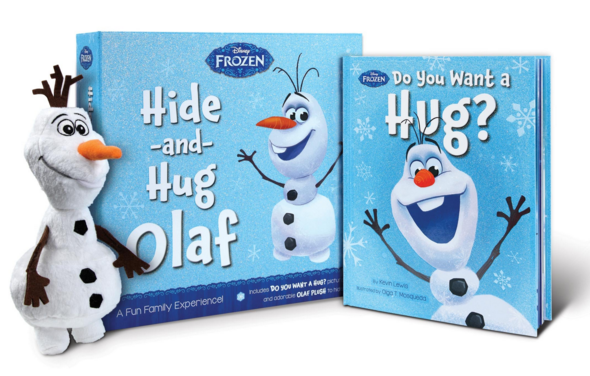 Frozen Hide-and-Hug Olaf: A Fun Family Experience! – Hardcover – is just $18.50 down from $27! Get yours now while it lasts! This deluxe box features a brand-new story about Olaf the snowman. Inside, children will also find a huggable Olaf plush. Following the hide-and-seek theme of the story, parents can hide the plush for children to find and deliver Olaf’s big, warm hug!